This month is the release of a sweet book by Deborah Marcero. Another thing that is happening this month is the annual Lyrid Meteor Showers which usually take place every year between April 16th - April 25th. April is also the month that the constellation Ursa Major is most visible. Get it!? One night Ursa had an idea. She was going to fly! It was such a crazy idea that no one believed she could do it. She was a bear, for goodness sake, and bears don't fly! Or do they . . . ? Deborah Marcero received her BFA in drawing photography from the University of Michigan and her MFA in poetry from the School of the Art Institute of Chicago. She loves to draw, write, doodle, make silly drawings, and jot down things she notices in the world around her. This is her debut picture book. Ursa is a special little bear. She is not like anyone else and THIS is a good thing. It is what makes her special. 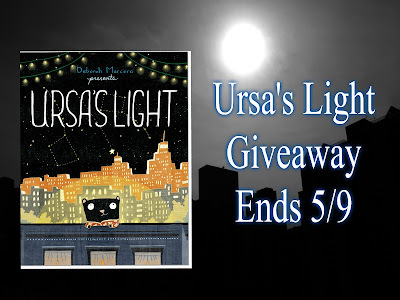 When Ursa decides she wants to fly she does her best to study the world around her but when her wish doesn't come to fruition Ursa doesn't give up she takes everything she learned and becomes a shining star in a play where she gets to live her dream if only for a night. I loved this book about not giving up even when everything is stacked against you. The graphics are sweet and whimsical using a basic palette of colors. 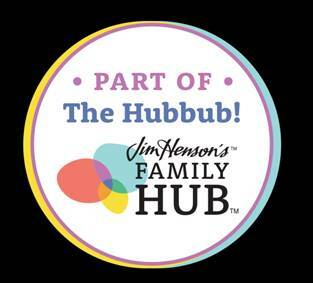 Children will love the short story which includes little word bubbles giving everyone their own little personality. 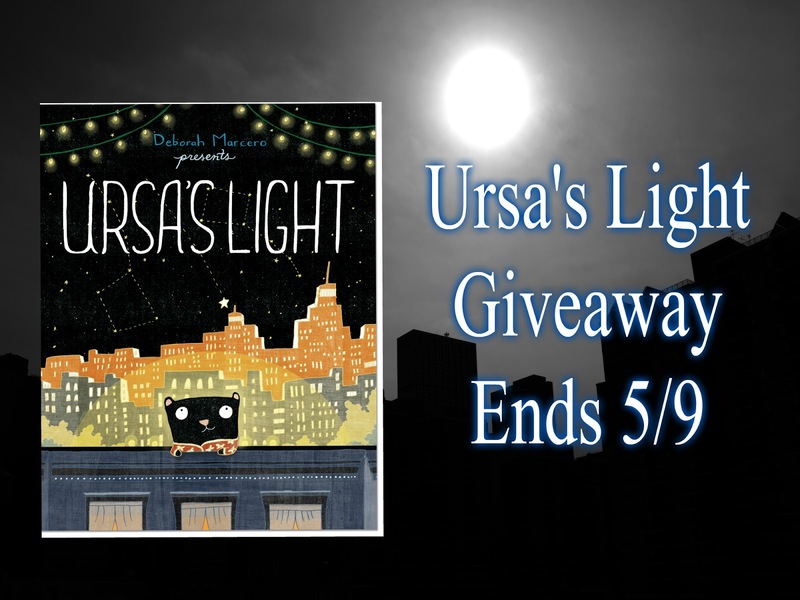 Enter for your chance to win your very own copy of Ursa's Light by May 9th.